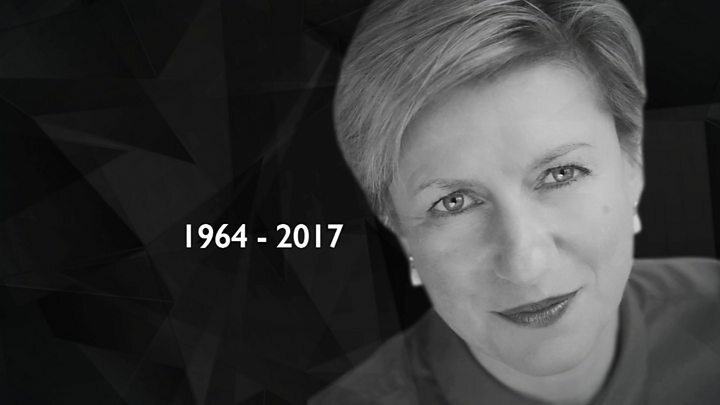 Ex-BBC News correspondent Liz MacKean has died after suffering a stroke. MacKean, 52, worked for the corporation for more than 20 years but left in 2013 amid a row over the decision to shelve her investigation for Newsnight about disgraced DJ Jimmy Savile. She began her career at BBC Hereford and Worcester, before presenting on Breakfast and reporting from Northern Ireland and Scotland. MacKean went on to make films for Channel 4's Dispatches programme. BBC director of news James Harding paid tribute to MacKean, saying she had earned a reputation as a "remarkably tenacious and resourceful reporter". "In Northern Ireland, she won the trust of all sides and produced some of the most insightful and hard-hitting reporting of the conflict," he said. "It was as an investigative reporter that she really shone, shining a light on issues from the dumping of toxic waste off the African coast to Jimmy Savile, the story for which she is probably best known." The mother-of-two studied at Manchester University and gained a post-graduate diploma in broadcast journalism before joining the BBC. MacKean's story about the child abuse committed by Jimmy Savile was dropped by Newsnight in 2011. But the investigation with producer Meirion Jones was later recognised by the London Press Club with a scoop of the year award. She also shared the Daniel Pearl Award for Outstanding International Investigative Journalism for a series of Newsnight reports in 2010 about toxic dumping in West Africa. MacKean announced she was taking voluntary redundancy from the BBC in May 2013. Her Dispatches programme, Hunted, about the persecution of gay people in Russia, was among the winners at the Grierson British Documentary Awards in 2014.